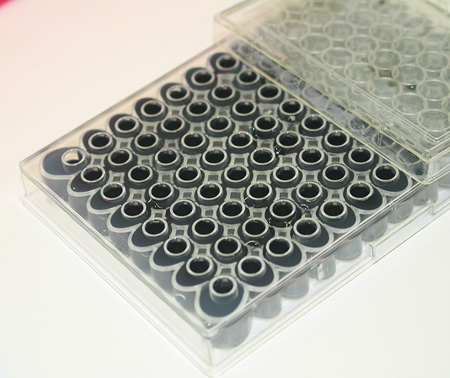 The Vale Nanoslide allows for ultra miniaturisation of assays and has been developed to have the same functionality as a standard microtiter plate. 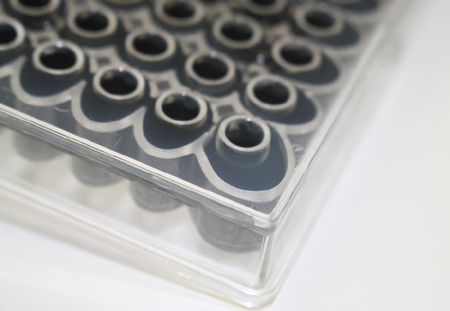 Protects cells by resisting rapid thermal fluctuation. 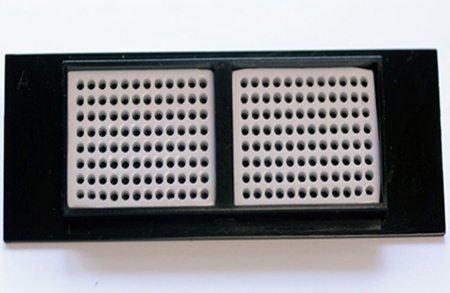 Vale 96 Microplates protect the microplate environment from fluctuations in temperature, atmospheric gasses, and moisture loss by evaporation. The patented buffering system greatly reduces environmental "edge effects" resulting in greater consistency across the entire plate. 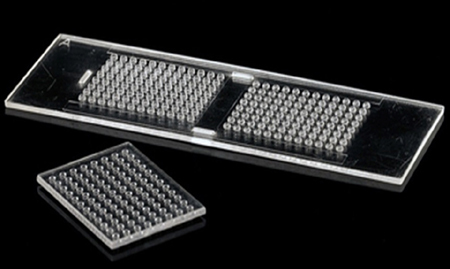 Thermal retention and reduced evaporation facilitate a more consistent date yield when compared to standard tissue culture microplates. Shorter development time and cost savings.